↑ "Ageing luxury jet". BBC News, 25 July 2000. 25 July 2000. http://news.bbc.co.uk/1/hi/uk/850899.stm. ↑ Marston, Paul (16 August 2000). "Is this the end of the Concorde dream?". 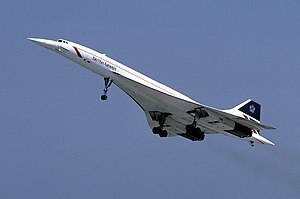 London: The Daily Telegraph, 16 August 2000. http://www.telegraph.co.uk/news/uknews/1352927/Is-this-the-end-of-the-Concorde-dream.html.